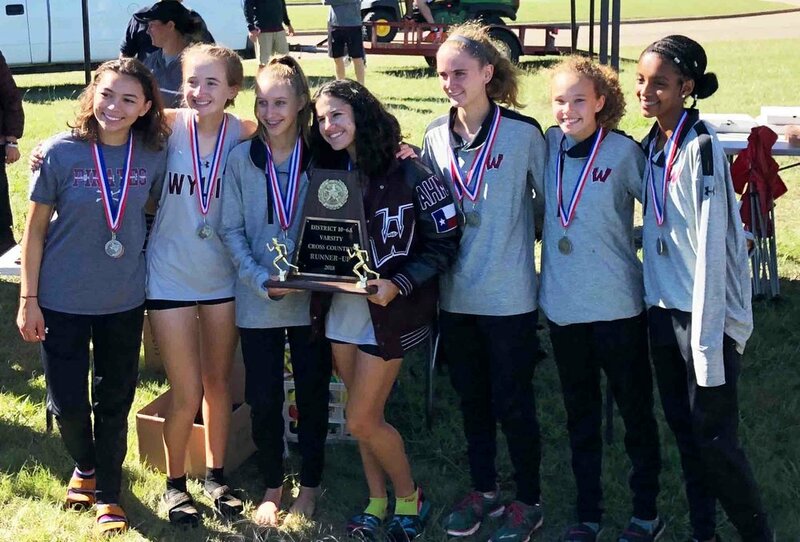 On 10/11/18 The Wylie High School Cross Country team participated in the UIL 6A District 10 Championship at Autobahn Park in Garland. Wylie had an exceptional showing at the meet. The girls varsity team came in 2ndoverall as a team with Katelyn Buckley and Ella Phillips coming in 2ndand 3rdoverall. Aubrey Leverton came in 8th, Makenzie Vega came in 10th and Hermela Terefe came in 14thoverall for a 37 total team score. The varsity girls will be moving on to the Region 2 qualifier on 10/22 in Grand Prairie. Coach Kimberly Campbell is looking forward to taking the girls to the Region 2 Qualifier. The junior varsity boys dominated their race by going 1-5 for a perfect score of 15 then having 18 runners in the top 21 finishers in the junior varsity division. The varsity boys repeated as District champions making them the 2017, 2018 District Champions. The boys will also be moving on to the Region 2 Qualifier on 10/22 in Grand Prairie. The boys in the Pirate Pack placed 1-4, 6, 9, and 10, a great start to the post season. The varsity boys look forward to a good showing at region and hope to move on to the state championship for a second year in a row. Samuel Abdellatif (senior) came in 1stoverall and was named district MVP. Luke Lambert came in 2ndwith .3 behind Sam. Shimeless Abdellatif came in 3rdwith .2 behind Luke. Dylan Pitts came in 4tha few seconds later. Aiden Gardiner finished 6thoverall. Hunter Widner and Aidan Carter finished 9thand 10thoverall. Coach Calley Conner was named boys Coach of the Year for the second year in a row!